Explore has chosen 21 of its favourite family holidays from around the world and reduced the prices of their Summer 2014 departures by up to £200 when booked by the 29th May. Typical offers include saving £70 on a Moroccan Atlas Adventure, £100 on an Egyptian Adventure, £80 on a Greek Cruise and £100 on a Jordan Adventure visiting the lost city of Petra. On a Explore family holiday travel with like-minded families, make friends and enjoy the surroundings with all the logistics and planning taken care of. 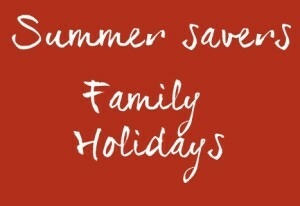 via Save up to £200 this summer – Family Holidays.